Enginaire precleaners are designed to remove most of the contaminants from the air that feeds the engine. The advantages of removing the contaminants are extended filter life, improved fuel economy, reduced emissions, reduced maintenance costs, AND LONGER ENGINE LIFE. 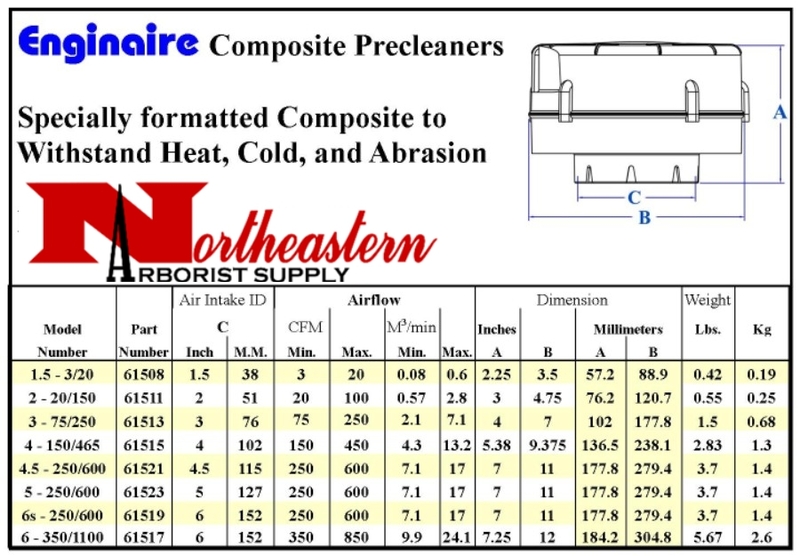 The Enginaire precleaner is designed to operate at a maximum contaminant rejection efficiency with a minimum air restriction allowing for optimum engine performance. Turbochargers, blowers, cylinder liners, piston rings, and engine oil fail because of contamination. There is an Enginaire precleaner available to fit virtually all engine applications.